First off, we need a photo to work with. 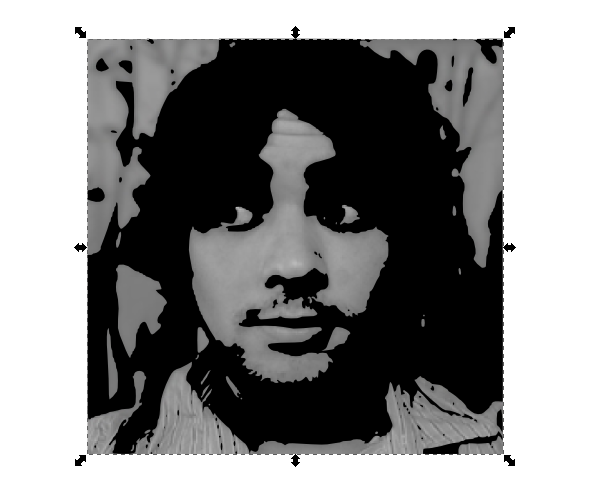 I conveniently had this small photo of my face nearby, so I just went ahead and dragged it into Inkscape. 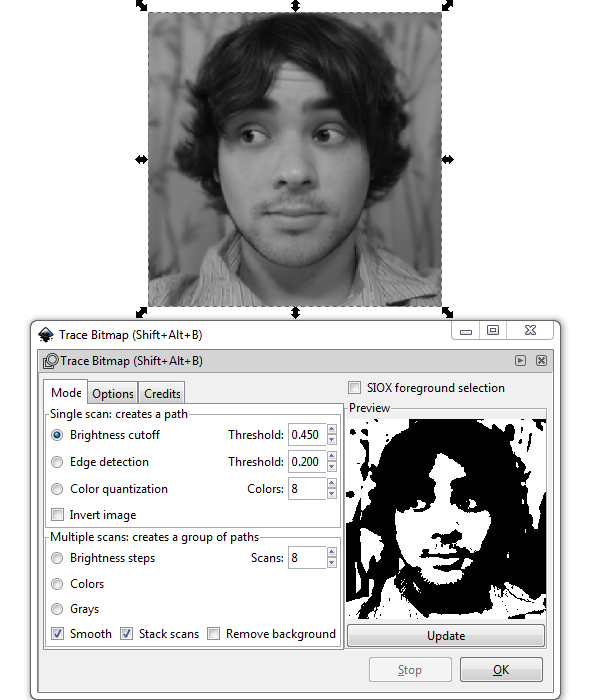 Now, select the photo and head up to Path > Trace Bitmap to bring up the menu. Let’s do a simple Brightness cutoff 0.450 and click OK.
You should end up with the generated vector laying on top of the original photo. At this point, we can just leave the tracing over the original photo or drag it off. 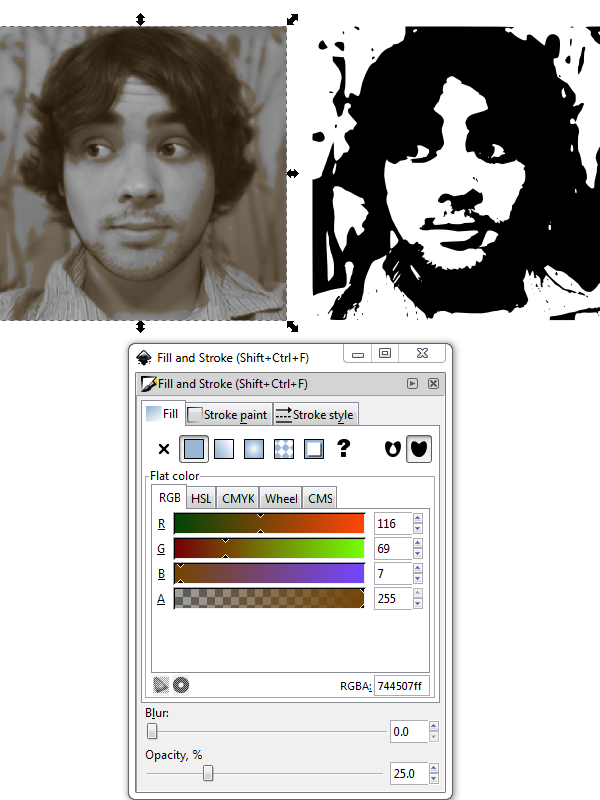 Below, the left one is a transparent orange hue applied to the vector to give off a neat effect. To the right is just the traced vector. The design possibilities are endless! 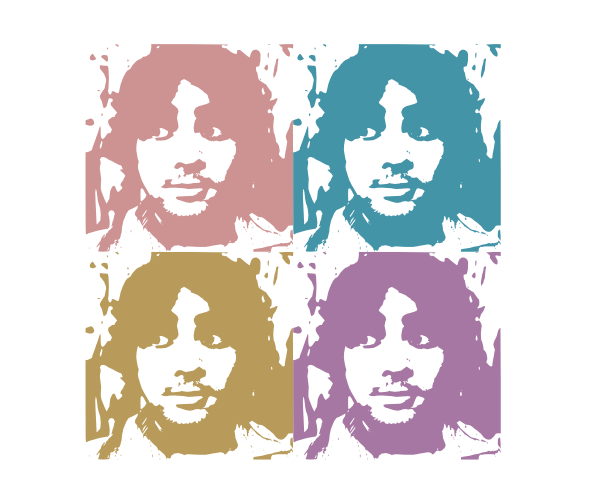 Let’s go a little psychedelic. We can even draw a cutout path with the Pen tool to use as a clipping method. 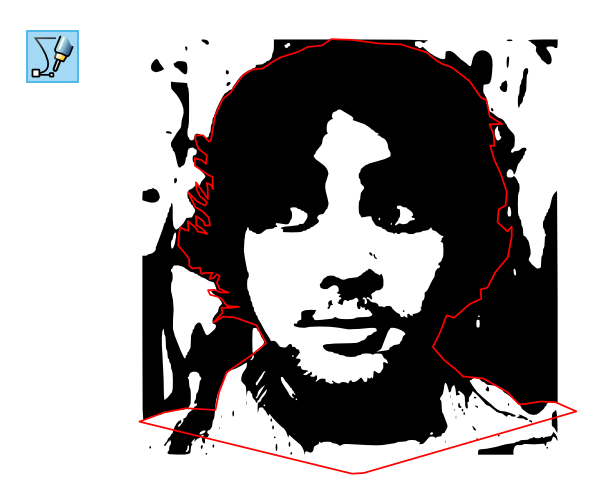 I’m going to select both the line and the tracing, then head up to Object > Clip > Set. 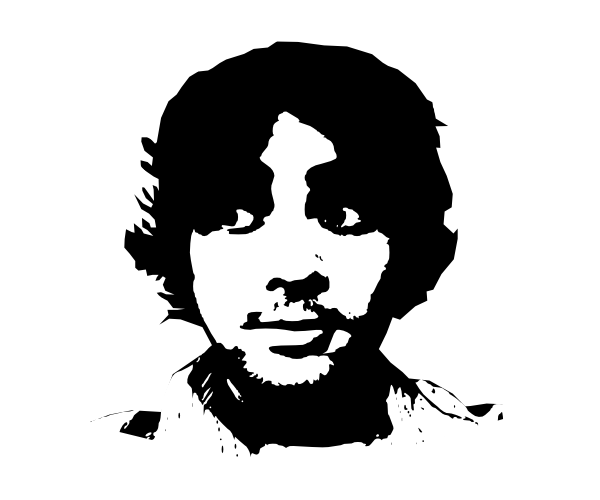 Then we end up with a nice, clean cut portrait of my traced face. Awesome stuff! This quick tutorial could’ve been massive given the endless options and possibilities with tracing design, but I just wanted to get the basic idea and method across. Go ahead and play around with this one and let’s see what you can come up with. Thanks for reading!